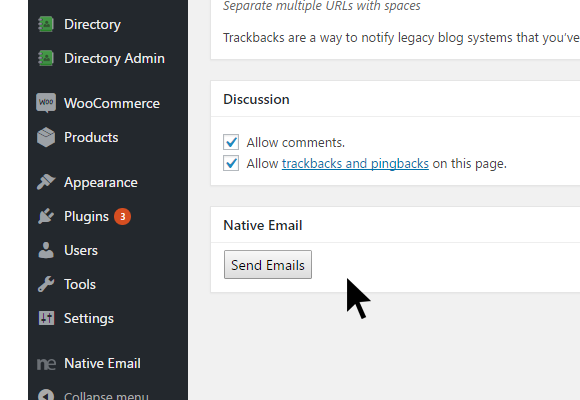 Log in and click the Native Email link on WP Admin Sidebar. In the General Tab you can see the (editable) Notification Email, which subscribers recieve when they subscribe to your website content. Then, you can go straight to Layout Picker and choose the email layout you prefer for your content, and then click Save. Then, on the Template Design tab, you can easily customise and personalise your subscriber email using options like Font, Logo Upload and Colour settings, and the click Save. In Content Control you can control aspects of your email content like Number of Posts and content Optimisation. You can also schedule when your new content is distributed, then click Save. Now we’re ready to look at the sign-up widgets on the front end. Click Appearances>Widgets on the sidebar. 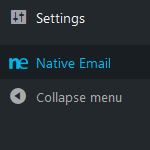 Then look for the Native Email widget. (We call this the “Multi-Widget” as it can be used in multiple instances for all alerts of your products, posts or different categoy types). On the widget you can add a Title and Message, the categories you want the widget to display. NB- You can gobally overide or set the category dispaly options using the golbal category filter in the General Tab. Or leave it and do it on the widget if you have several widgets on your site. In the Select Post type drop down on the widget, you select the post type from those that your site is outputting (Post, Product etc.) and you must also choose the corresponding categoy type to go with it. Once done, visit the widget on the front end and subscribe to some content if you like! Now you are almost ready! Before lift off, you must go to the General Tab and input which Post types and Product types you want Native Email to output. 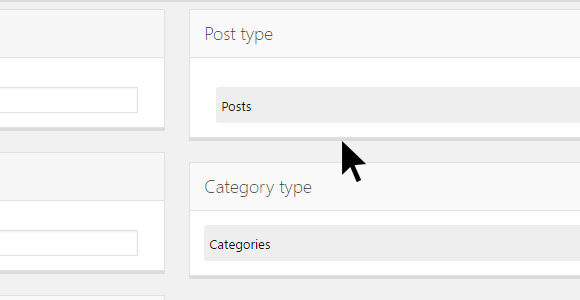 So, if you are going to be publishing WordPress Posts, select Posts under Post type and then the corresponding Categories under Category type (or for example, for Directory posts it would be Directory Posts and Directory Categories). In order to start sending, or test your install, go and create and publish a post from the corresponding post type, and add a Featured Image. 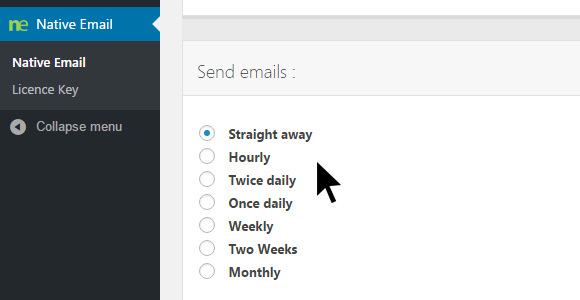 Once published, simply scroll down to the Native Email box on the same page and click Send Emails. You will see a dialogue box pop up to tell you that the emails are being processed. It may be neccesssary to allow pop-ups in your browser for this. This starts the send, using our Send in Batches system. In simple terms, Send in Batches means no matter how many emails you are sending, Native Email will be able to handle it. You can set the number of emails sent in each consecutinve batch, and the time you will allow for the processing of each batch in the General Tab under Users per send and Process time (in minutes). How you configure this is entirely up to you, based on your own expectations of what your server can handle. But by default it is set to 300 users in 3 minutes. And that- for the quick start- is that! There are, of course, other features, such as User Management and our growing suite of widgets, which you are awaiting your attention when you need them. More can be read about these and other tips in our full documents. Thank you once again for buying Native Email and keep your eyes open for future updates. If you have any further questions, feel free to ask us. We hope you like our plugin.